Amanda Byars is a dancer, choreographer, teacher, administrator, and mommy. She holds a BFA in dance from the University of Massachusetts, an MFA from the Ohio State University, certifications in Pilates, Labanotation and is a certified Elementary Labanotation teacher trainer. Her choreography has been shown across the United States, from Portland, OR to New York City. 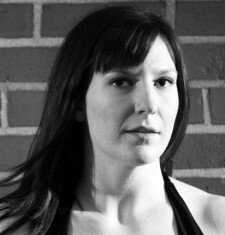 Most recently Amanda was part of Skwirlhaus’ inaugural season of choreographers, and, in 2014, she is teaching at Atlanta Ballet as a part of the Small Plates guest artist series for adult classes. Currently, Amanda teaches dance at Agnes Scott College and is thrilled to be Moving in the Spirit’s Program Design & Curriculum Specialist.